ELDERBULLS: Part Two: With Friends Like These, Who Needs Enemies? Part Two: With Friends Like These, Who Needs Enemies? There's an old fable about a man in Persia who sat at a city gate and saw the Plague entering the city. He asked the Plague how many it was going to kill. The Plague answered, "I'm going to kill 300." A month later, as the Plague was leaving the city, the man met it again and he said to it, "You lied. You told me you'd kill only 300, but 9,000 are dead." The Plague answered, "I did not lie. I killed only 300. My twin-brother, Fear, killed the rest." 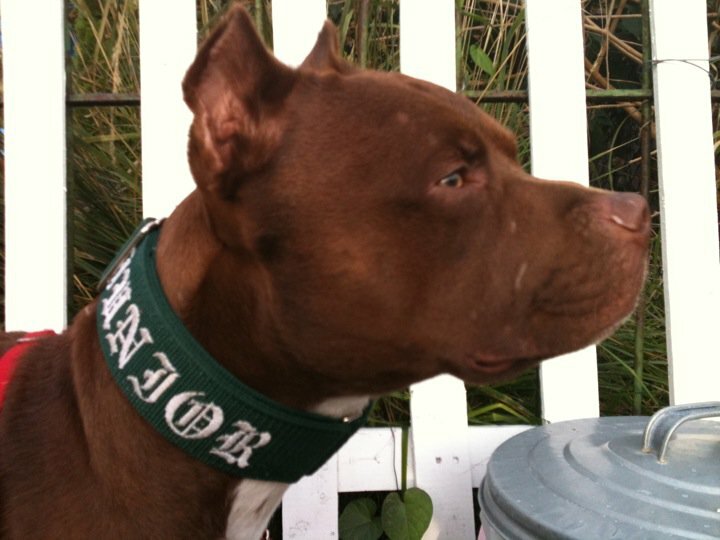 This fable is an all-too-familiar reality for some pit bull dogs. In the past (and in a dwindling number of places at present), breed-specific legislation (BSL) is what plagued the pit bull dogs. But times are changing. More and more cities are ditching their discriminatory and ineffective laws that target dogs based on physical appearance without addressing the dogs who pose a real threat to society, on a case-by-case basis. 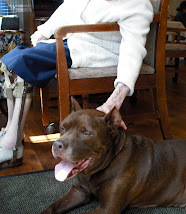 A few days ago, on June 17, 2011, Cumberland County (in Canada) dropped their BSL in favor of breed-neutral laws that focused on dangerous dogs'/reckless owners' behaviors, rather than dogs' physical appearances. Animal Control Officer Darby Arseneault noted, "From what I understand, a lot of communities are moving in this direction." For examples of those communities, click here. So if the tides are turning and politicians are learning that a dog's physical appearance does not make him inherently dangerous, then what else is holding the pit bulls back? It's the fear-based language, policies, and practices of shelters, rescue groups, and advocates who consider themselves "friends of the pit bulls" that inadvertently continue to place us in an "other" category of dog. - The ASPCA says pit bulls "may have little control over their behavior," they "tend to bite harder in play than other breeds," and they "require a degree of special treatment." - PETA says "preventing more pit bulls from being born" is the only way "to help prevent tragic attacks." - Pit Bull Rescue Central says pit bulls "have superior physical and mental characteristics," including a "high tolerance for pain." - A pit bull rescue group near Baltimore, Maryland told Fox news that perhaps cities should "maybe put something out there that you should have to have a license to own X amount of breeds. I mean, that I think would be fine, too, because somebody, somewhere with authority is screening the people that are walking these dogs around that are capable of doing things that are powerful." As I've said before, with friends like these, who needs enemies? How is it that politicians, who have no vested interest in sugar-coating pit bulls, are understanding that dogs need to be assessed on a case-by-case basis, yet the "friends of the pit bulls" still insist on placing ALL of us in a category of dog requiring "special" treatment? How is it that these "friends" don't recognize that by making us "special" they inadvertently cause us to be feared and demonized? How is it that more and more cities realize that they can't predict a dog's behavior based on generalizations about physical appearances, yet some "friends of the pit bulls" still adhere to blanket adoption policies that presume all dogs who look a certain way will behave the same way, too? BOTTOM LINE: BSL was the Plague that killed pit bull dogs in those areas. It's twin-brother Fear -- manifesting himself in too many shelters, rescue groups, and advocates -- is what continues to kill the rest.